TORONTO -- Ontario's largest school board has to account for a $28.7 million shortfall next year because of the province's changes to education funding, according to a document presented to the Toronto District School Board's budget committee. The Progressive Conservative government announced cuts to education funding last month, including by increasing the average class size for Grades 4 to 8 from 23.84 to 24.5 -- a move the board says will cost it nearly $10 million next year. Boards have yet to see the specific breakdown of the cuts, TDSB chairwoman Robin Pilkey said. For their 2019-2020 projected financial position, the board is working with information from the government's announcement last month. "We don't have the final numbers. This is what we know now. 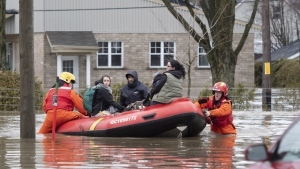 We hope that it doesn't get worse," Pilkey said Wednesday. "We are going to have to make some big decisions." "We have a large budget, but much of it is about staffing and collective agreements," she said, noting that the board's total budget is typically north of $3 billion. 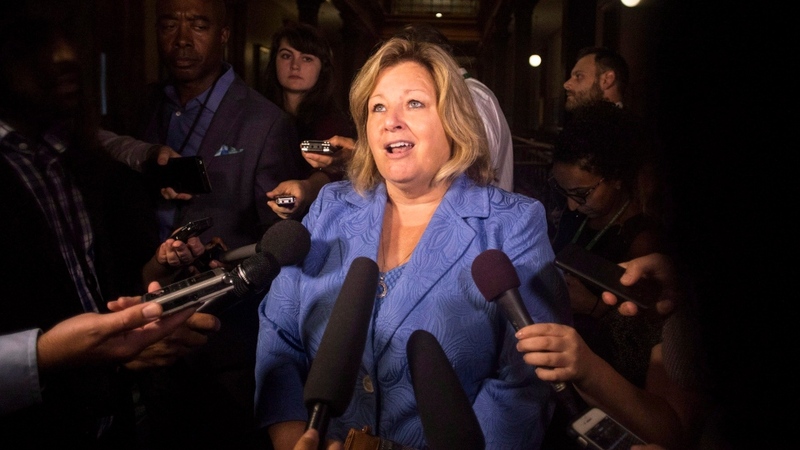 Thousands of teaching positions are expected to be lost while the changes -- including a bump to the average high school class size -- are phased in, though Education Minister Lisa Thompson has said there will be no "involuntary job losses." The TDSB said it would need to fire 216 elementary teachers to accommodate the new budget, but that it can't because its collective agreement with the teachers' union mandates an average elementary class size of 23.24. The price tag on that is expected to be $9.6 million per year, according to the board. "This class size is essentially a funding cut," Pilkey said. "They essentially just said, 'Okay, we'll only fund you to 24.5,' but we have to staff to 23, so we have to make up the difference." The board will also lose $9.9 million it expected to get for the Cost Adjustment Allocation, which is used to fund "education worker benchmarks," according to the document. The Toronto board said it will also lose another $7.9 million because of the province's move to reduce funding for designated early childhood educators. And 800 TDSB secondary teachers -- who don't have the same mandated average class size in their collective agreement as the elementary teachers -- will lose their jobs over the next four years because of the province's move to bump the average high school class from 22 to 28 students, the board said. Pilkey noted that there are still some unknowns about the province's changes, which are expected to become clearer in the coming weeks. She said changes to the grant for student needs have not yet been announced. Likewise, the Facilities Operating and Renewal grant is being adjusted to increased class size in secondary schools. On Saturday, crowds covered the lawn in front of Queen's Park to protest the government's move to increase class sizes, have students take more online courses and overhaul the autism program. Thompson has said the government won't be distracted by what she called "union tactics" such as protests. "Our plan, Education That Works For You, will be implemented responsibly through a measured approach that prioritizes student achievement and will ensure not a single teacher loses their job," Kayla Iafelice said.